I am a fan of anything customized. 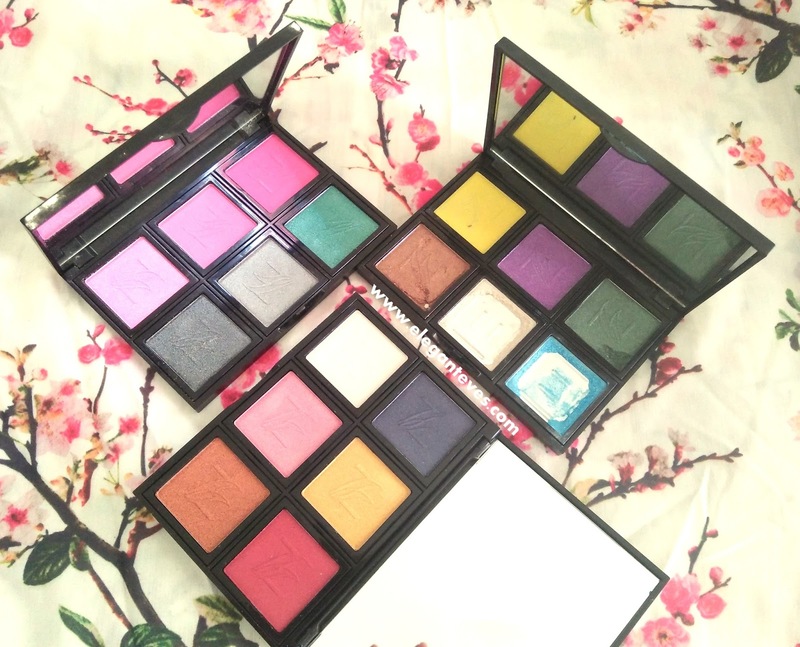 More often than not, I skip many “best selling” makeup palettes because one or two shades the given combination does not catch my fancy. 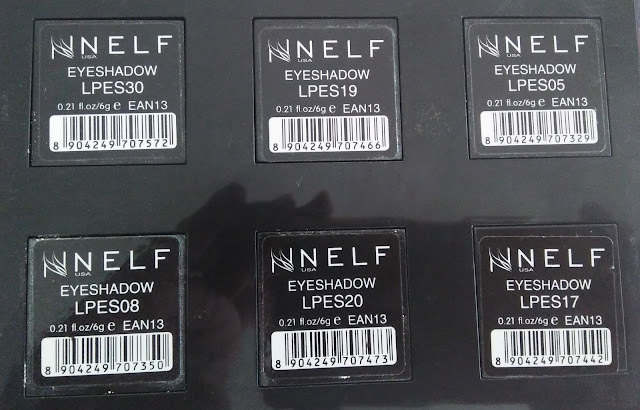 Recently I came across a brand called NELF USA on Instagram and was quite intrigued by their products. 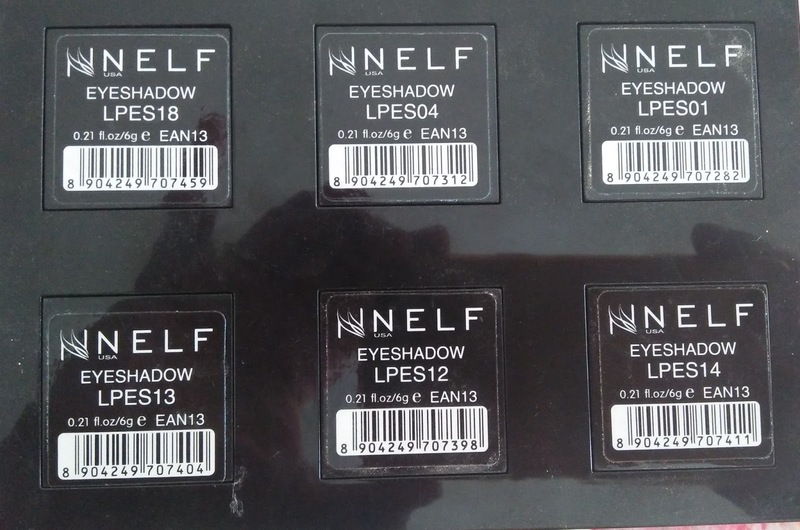 Nykaa has also been stocking on any NELF products lately and it piqued my interest. 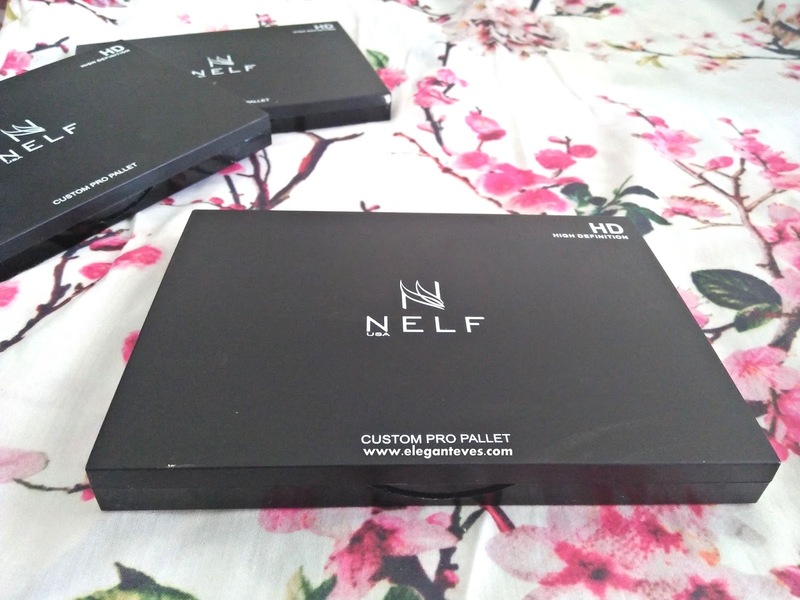 The NELF team kindly sent me a new launch from their range to review and it is a custom eyeshadow/blush palette! Read on to find more about the brand and this product. 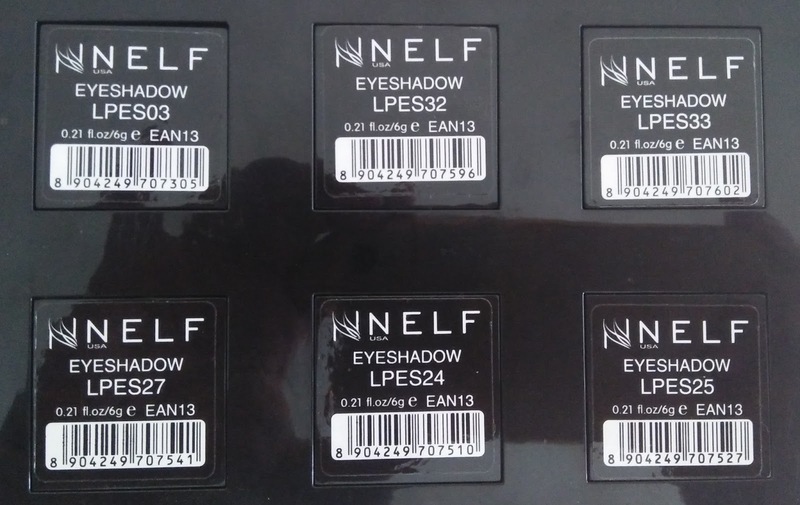 NELFUSA Cosmetics founded in USA in 2014, named after an aspiration of women to look great in four leagues i.e. NAIL, EYE, LIPS & FACE, uniquely offers an exclusive collection of enduring line of trendy makeup. Established in 2014 in India, “Redefining Beauty & Makeup” trends all over the country. With over more than 300 Promoter lead stores in 20 states of India, 3500 retail stores & having on line presence with all beauty portals, we have been awarded as “Popular International Cosmetic Brand” by “Popular Brand Awards” in 2015. The entire colour scheme is conceptualized, designed & created in consultation with USA Fashion & Colour experts. NELFUSA also offers an extensive range of HD Makeup line with over 1200 makeup shades, known for its rich pigments, high colour payoff, skin friendly & easy accessibility at all our stores. 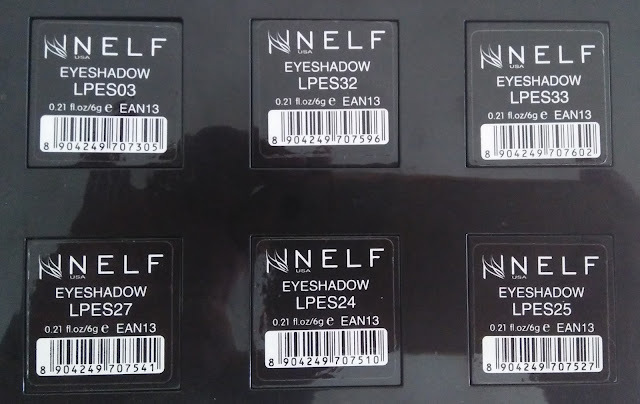 NELF strictly follows safety & quality guidelines. All our products are hypoallergenic, non-comedogenic & ophthalmologically tested to ensures a safe & quality product delivery. Our research & development expert team develops new formulas & technologies to produce a par excellence product line for our esteemed consumers. This is what places NELFUSA in its own panache and distinguishes the line as a leader in this extensive colour cosmetics industry. 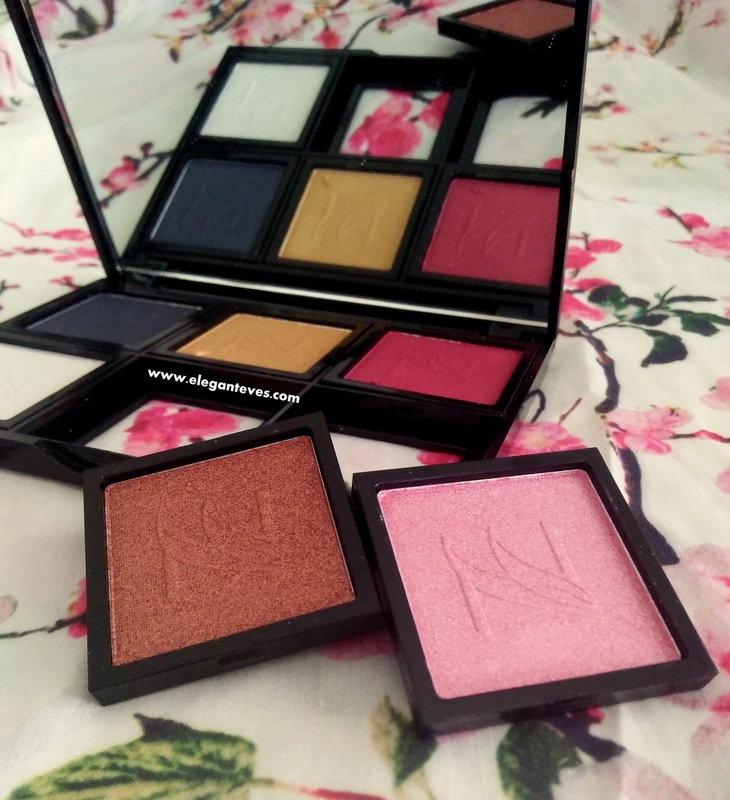 There are 33 single eyeshadows to choose from and 12 blushers (check Nykaa Here and here) each costing Rs 425. 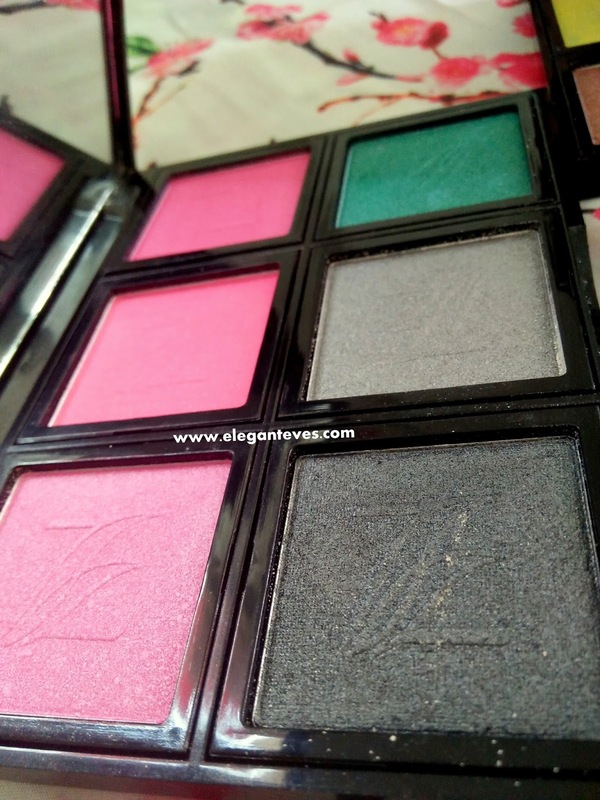 Packaging: The palettes come inside a basic black shiny carton. Once opened, you can see a matte black palette with click lock (not magnetic). 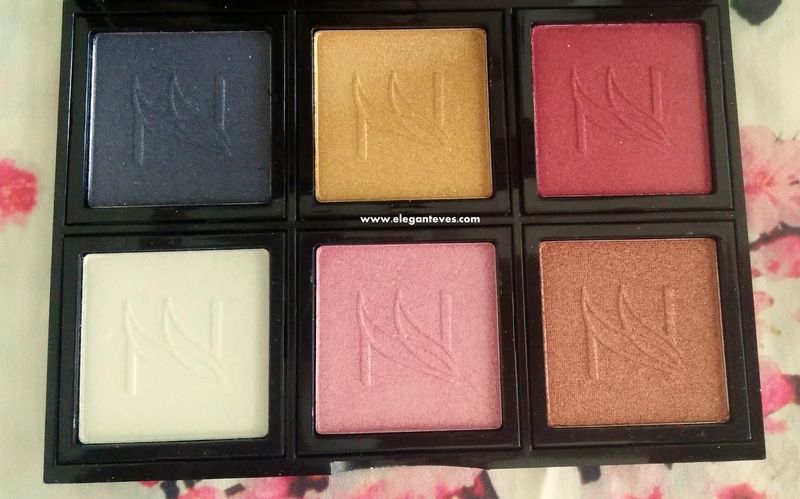 The shadows are single pans which can be removed from the palette which a slight push at the back of each pan. As you can see from the pictures, two shadows in one palette got smashed during transit L The shadows have shade numbers printed on the backside sticker and I am not sure why names are not there- because the ones listed on Nykaa clearly have names enlisted. 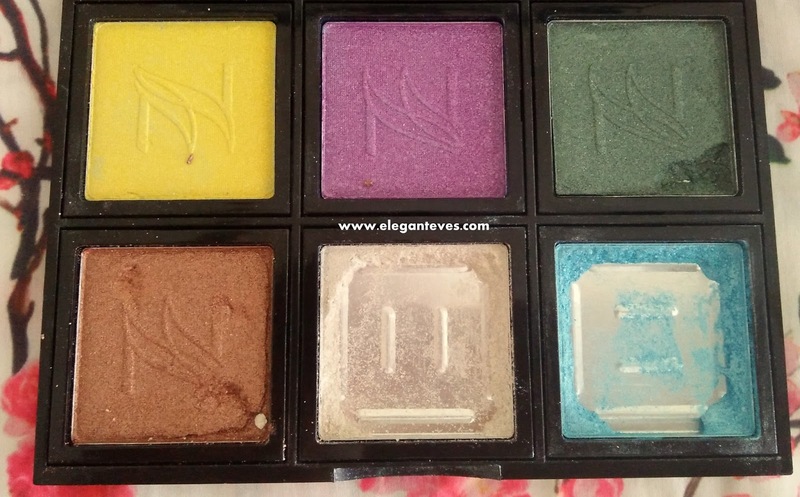 My take: After the initial disappointment of having a smashed palette and having to clear up the huge powder-load of pigments, I found that the palette with my favorite shades was intact :P Below are the close ups of the palettes followed by the pictures of their back. 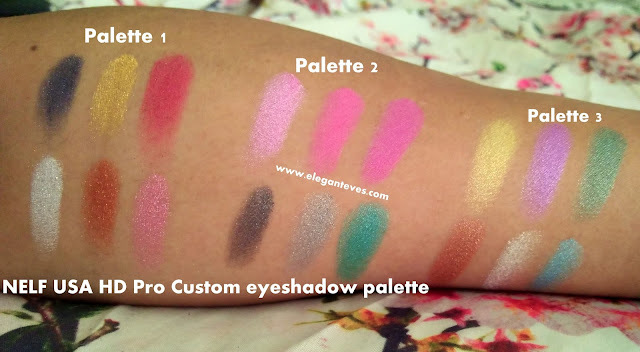 All the eyeshadows are beautifully pigmented. Regarding the staying power I shall update in next post when I begin using these for looks. 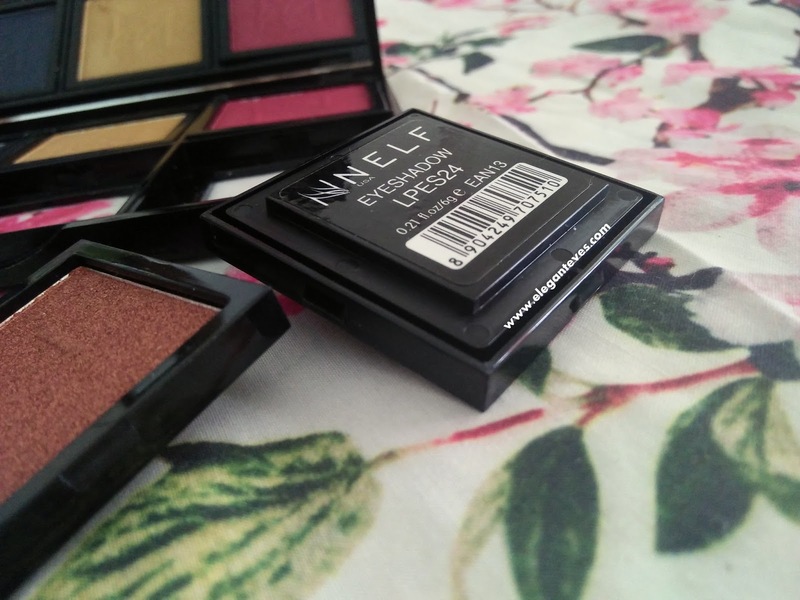 One point of concern for these eyeshadows which I found was, they seemed too finely milled and are easily nicked with the slightest flick. I am doubtful about their travel-friendliness that’s why. Since the price of the single shades are not exactly ‘budget’ (Rs.425 each), I would expect a better pressed formulation to make them travel friendly. 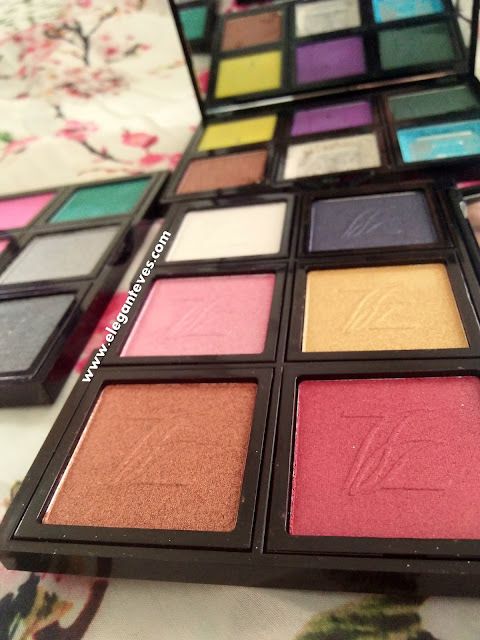 Also, for the 6-pan palette, I would personally prefer to add three-four eye shadow shades and the rest would be blush shades so that the palette becomes multi-purpose. 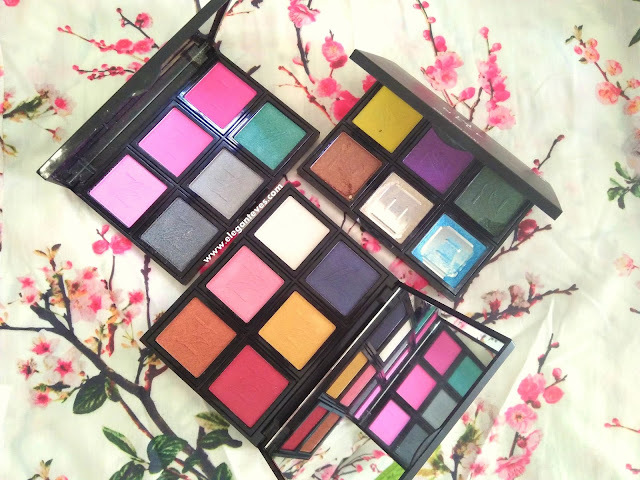 Overall, I found the palettes decent but not amazing considering the yet-to-be-done improvements. 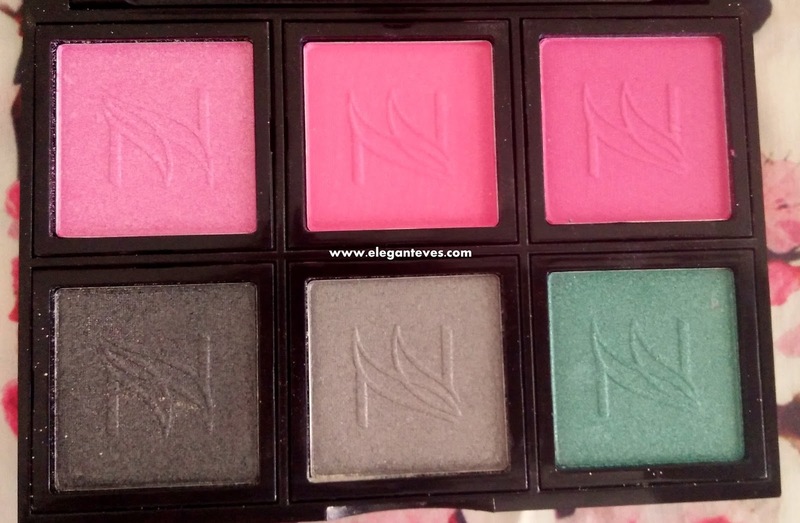 Recommendation would be to try the single shades once before getting the whole palette.